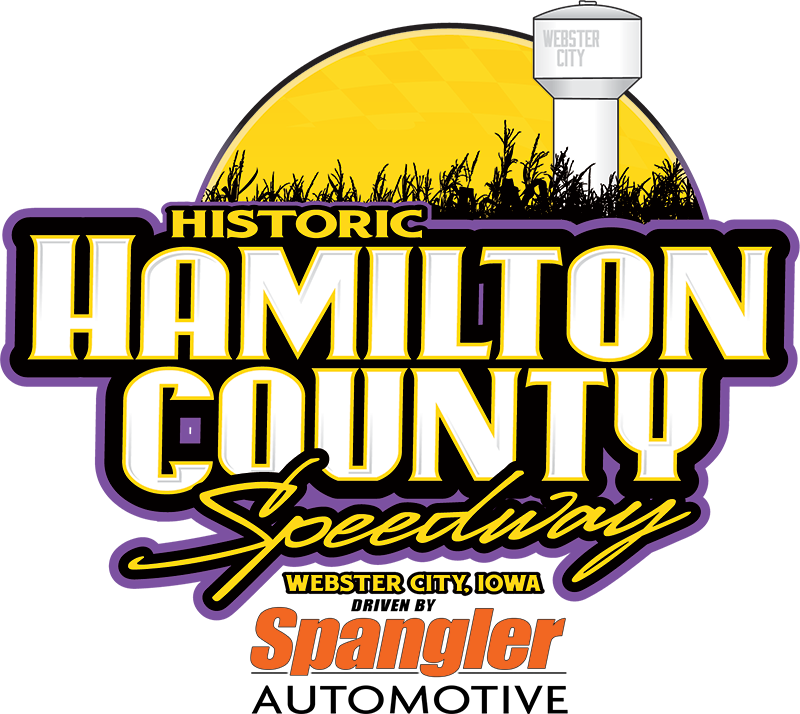 The biggest, most-anticipated grand opening of the century is coming this Saturday, May 5, to the historic Hamilton County Speedway driven by Spangler Automotive in Webster City, Iowa, with the kick off to the 2018 racing season. An all-new, lightning-fast racing surface will feature the ground-shaking Olsen Family USRA Modifieds, fender-to-fender Seneca Foundry USRA Stock Car action, the mega-hot Stein Heating & Cooling USRA B-Mods and door-to-door Diamond in the Rough USRA Hobby Stocks plus the wild and unpredictable four-cylinder USRA Tuners. GOLDEN TICKET GIVEAWAY: Don't miss your chance to drive away in your dream car this summer with the Great Mustang Giveaway presented by Spangler Automotive. Two lucky fans this Saturday will win a golden ticket and be entered into the drawing. From 4-5 p.m., KQWC will be at the Hamilton County Speedway with the Ford Mustang. The final drawing will take place Saturday, Aug. 25, at the Hamilton County Speedway during Season Championships. Only golden ticket winners will participate in the final drawing, and there will be only 100 golden tickets available to place you in the final running to take this convertible home for good. With locations in Glidden and Newton in addition to Webster City, Spangler Automotive sells top quality pre-owned trucks, cars and SUVs. They also offer financing, and warranty options. Visit them in Webster City at 1118 2nd St. or call them at (515) 209-8024. You can also find them online at www.spanglerautomotive.com. BIG FISH CHALLENGE: Modified, Stock Car, B-Mod and Hobby Stock drivers will battle for a shot at a whopping $1,000 bonus in the Big Fish Challenge. Every driver in those divisions will have the option to buy-in to the challenge for $25. If a driver enters the Big Fish Challenge and wins the main event in his or her division, that driver will take home $1,000. KIDS NIGHT: As if that weren't enough, this Saturday is Kids Night too with bike races, a candy toss and a nickel dash for the young fans. Plus there will be special events and prizes during the program just for the young fans in attendance. This is the first of several Kids Nights. Future dates include June 9, June 30, July 28 and Aug. 18. Pit Gates Opens 4:30 p.m.
Spectator Gate Opens 5:00 p.m.
Get there early for $2 hot dogs and $2 Busch Lights for the big kids from 5-6 p.m.
You simply cannot miss the colossal clash of smoke and steel this Saturday, May 5, at the one and only Hamilton County Speedway driven by Spangler Automotive. ALL-ACCESS PASSES: The Hamilton County Speedway is offering a limited number of all-access passes for 2018. Anybody can purchase one, and the all-access pass will get you into the grandstands, pit area and/or party deck for every event during the 2018 racing season. Only 40 all-access passes are available at a cost of $500. Call the track office at (515) 832-6000 to get yours today. MAKING HAMILTON COUNTY SPEEDWAY GREAT AGAIN: While many projects are complete, many are ongoing at the famed half-mile facility. Widening of back-stretch, new dirt from the back side of the corners, a completely remodeled VIP booth with a new furnace, air conditioning system and new flooring with countertops and tables set up to accommodate up to 40 people, bathrooms renovated with new flooring and paint, and a new 16 x 30-foot party deck to the southwest of the VIP booth that will provide awesome views are just some of the upgrades that are finished or underway. A full-time waitress will be working both the VIP booth and party deck area for the sponsors that have them rented on those nights. Crews have been busy cleaning the area near the entrance along the fence and where the smoking area is located, and the ground is being leveled so that fans will be able to walk with much more ease. Officials will be putting in touch-screen computers at all stations including the ticket booth, pit shack, concession stands and beer stand. Those portals will be able to accept credit cards at every station. The concessions menu will feature great quality food from Hy-Vee, Fareway and Mary's Ann Deli each and every night, and all sandwiches will be fresh (not frozen) meat. Steak sandwiches, hamburgers, cheeseburgers, bacon cheddar burgers, chicken sandwiches, pork tenderloins and skinless brats are just a few of the items that will make fans want to come to the races on an empty stomach. MORE THAN PRICELESS: In addition to a solid schedule of events, the most welcome change for racers at the track is a bigger and better weekly payout for all classes and a hearty guaranteed year-end points funds. Late Models will pay $600 to win and $100 to start every Saturday night. Modifieds will pay $500 to win and $90 to start. Stock Cars and B-Mods will get $400 to win and $75 to start. Hobby Stocks are $300 to win and $60 to start. Tuners will race for #125 to win and $30 to start. The year-end points fund will see both the Late Model and Modified track champions take home $1,500 with no less than $150 going to drivers finishing among the top ten. Stock Cars and B-Mods will pay $1,000 to win the track title and $125 for tenth. The Hobby Stock champ will pocket $700 with $110 for tenth, and the Tuner track champion will earn $200 with $75 for the driver finishing tenth in the final standings. These are just track points funds on top of possible regional and national cash drivers can earn in the Summit USRA Weekly Racing Series. As if that weren’t enough, the Hamilton County Speedway and Mason City Motor Speedway have teamed up to offer some serious bonus bucks to drivers in the Stock Car, B-Mod, Hobby Stock and Tuner classes. Each track will chip in $70 on regular weekly points night for the Stock Cars and B-Mods, $60 for Hobby Stocks and $50 for Tuners. All drivers with perfect attendance at both tracks in each class will split the amount of money for the season in that class. For example, if 16 Saturday night races are run at each track in the Stock Car class, that will be 32 total nights x $70 per night to make a $2,240 two-track prize pool. If only one Stock Car driver has perfect attendance, he or she will pocket the entire amount. If two drivers have perfect attendance, they will split the money equally ($1,120 each), and so forth. The track is the oldest speedway in the state of Iowa, opening in July 1910. In 1938, work began on the current location at the Hamilton County Fairgrounds. The semi-banked half-mile dirt track was completed in the spring of 1939, and the first races were held on the track in September of that year. The Hamilton County Speedway is located off of US 20 at exit 140, then 1.2 miles north, then 0.5 mile east on Bank St., then 0.4 mile south on Bluff St. in Webster City, Iowa (1200 Bluff St, Webster City, IA 50595).